The City of Minneapolis and Minneapolis Park & Recreation Board are working to redevelop the City-owned Upper Harbor Terminal (UHT) site in North Minneapolis. The site will transform from its historic use as a barge shipping terminal to a combination of riverfront park amenities and private development. Our work included a comparison and recommendation for differing levels of mitigation documentation for UHT, including Minnesota Historic Properties Record (Levels I and II) and Historic American Engineering Record (Levels I, II, and III). 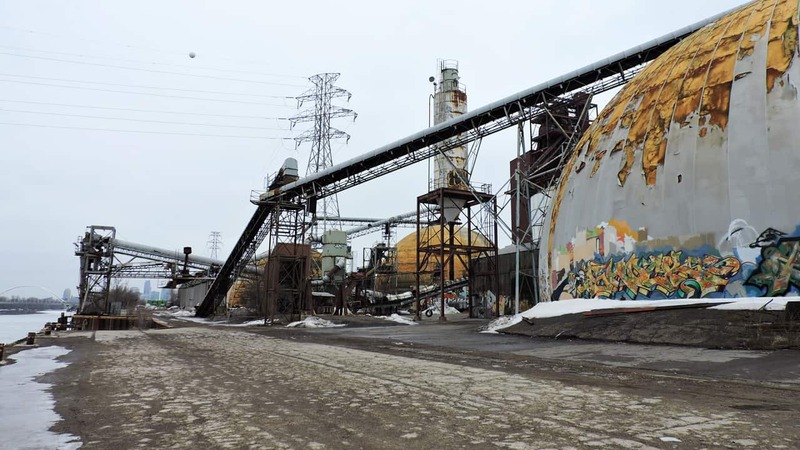 We also updated the National Register of Historic Places eligibility and local Minneapolis Landmark eligibility of the entire UHT property, and the four fertilizer domes also onsite. We interviewed UHT management firm staff in order gain an understanding of the intermodal operations and management of the UHT site. 106 Group staff worked with the City of Minneapolis to document the unique history, structure, and processes of UHT through intensive survey, inventory form preparation, narratives, flow diagrams, and designation eligibility. This work is an important step in the City’s efforts to redevelop the site while ensuring that its historic significance is properly considered and documented.